Cloud environments grow organically and often include a dizzying combination of virtual, bare metal, and container-based systems. If cloud computing is part of your Linux landscape, you’ll save time and money with a single tool for managing all your Linux resources. SUSE Manager is a versatile Linux management tool built for the cloud. SUSE Manager extends the ideals of DevOps to the cloud environment, unlocking a world of rapid deployment and automation. The Salt automated configuration framework built into SUSE Manager enables you to create detailed configurations in advance, setting up systems with a few simple mouse clicks. Further integrated software tools help you define channels for pushing updates and new software to the Linux landscape in a way that ensures uniformity and prevents rogue actions by local users. The auditing features included in SUSE Manager keep watch over your systems, automatically reporting deviations from internal policies or external standards. 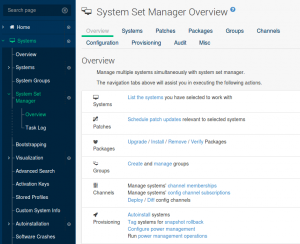 Figure 1: The SUSE Manager user interface lets you control a comprehensive collection of essential management tasks from a single user interface. The versatile SUSE Manager tracks, manages, and protects your Linux systems no matter where they are. SUSE Manager can serve a number of roles depending on the needs of your cloud environment. 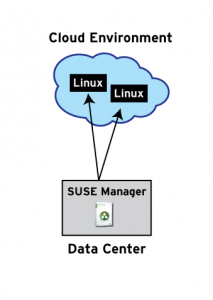 If you prefer to keep management resources on premises, use SUSE Manager to manage cloud-based Linux server systems from a local data center (Figure 2). In an all-virtual setting (Figure 3), a cloud-based SUSE Manager can look after a collection of cloud-based resources. 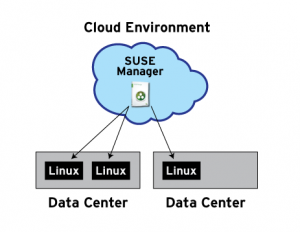 Organizations with resources scattered across several offices can opt for a scenario like the one depicted in Figure 4, in which a cloud-based SUSE Manager oversees Linux resources in one or more data centers. The scenarios depicted in Figures 2-4 suggest an endless variety of options, with SUSE Manager managing Linux systems in any combination of bare-metal, container, and virtual environments, and in all these scenarios, the IT staff just has to learn one tool and one set of procedures. Figure 2: You can manage cloud-based Linux systems from a local SUSE Manager. Figure 3: For simplicity and enhanced performance, a cloud-based SUSE Manager oversees cloud-based Linux VMs. 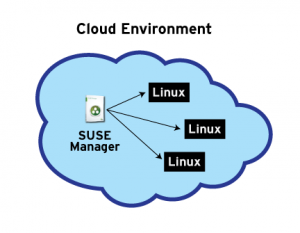 Figure 4: A SUSE Manager system in the cloud can also manage local Linux resources. SUSE Manager offers effective lifecycle management services for Linux systems in both public and private clouds. Pre-built system images for SUSE Manager are currently available in Amazon EC2, Google Compute Engine, Microsoft Azure, and other leading cloud environments. SUSE’s extensive network of cloud partners enables you to deploy SUSE Manager in the cloud environment you’re using now. If you manage your cloud infrastructure through the OpenStack orchestration framework, SUSE Manager will fit in seamlessly with your existing operations, providing lifecycle services such as configuration, auditing, and software updates for systems deployed through OpenStack. SUSE Manager includes a number of built-in features for easy administration within cloud environments. For instance, when you “clone” a new image from a running system, SUSE Manager offers a graceful way to register the clone and bring it under central management with minimal configuration. SUSE also provides the SUSE Manager Proxy tool for proxy service with SUSE Manager configurations, reducing bandwidth and improving performance for both private and public cloud scenarios. SUSE’s Bring Your Own Subscription (BYOS) model adds flexibility to cloud configurations. BYOS allows you to transfer an existing SUSE Manager subscription to a cloud-based subscription administered through a SUSE Certified Cloud Service Provider such as Amazon AWS, Google Compute Engine, or Microsoft Azure. The BYOS model makes it easy to migrate to the cloud now or at a later date while maintaining continuity in subscriptions and support. Today’s enterprise moves too fast for yesterday’s tools. SUSE Manager is a powerful solution for managing your Linux resources from a single interface. If you’re looking for a way to automate configuration, lock down security, and keep watch over your cloud-based Linux environment, talk to the experts at SUSE for a closer look at SUSE Manager.